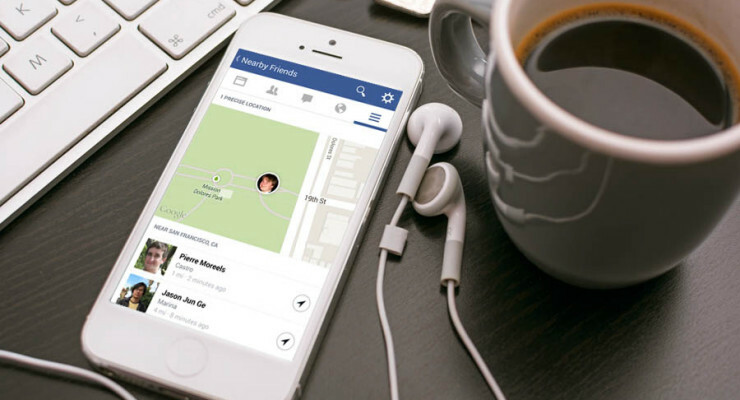 With Facebook’s newly inaugurated opt-in feature called Nearby Friends, users will be able to locate how far or near their friends are. The new tool will be available to both Android and iOS consumers. After taking a quick look at the working mechanism of the new tool, it can be said that Facebook is trying new social apps to improve consumer experience. Maybe Facebook is trying new development initiatives that can make its user’s life more convenient. Some analysts, however, believe it might be Facebook’s another strategy to increase the use of its social media platform. Facebook already has billions of users worldwide. Most of them belong to the group of people who love to socialize. If the social media site can’t offer them new opportunities to tempt their inclination for networking, its competitors are sitting tight to grasp the opportunity and knock it down. Analysts are stunned to hear Facebook’s recent acquisition plan. Seems a bit odd to know in the first hand that Facebook is going to acquire a developer of virtual reality technology – Oculus Rift. The question that strikes first is – how a social media company can possibly be benefitted from this new acquisition? Facebook CEO Mark Zuckerberg has confirmed the $2 billion acquisition agreement that soon can be expected to alter social media site user’s experience. Zuckerberg doesn’t reveal anything clearly about that though. 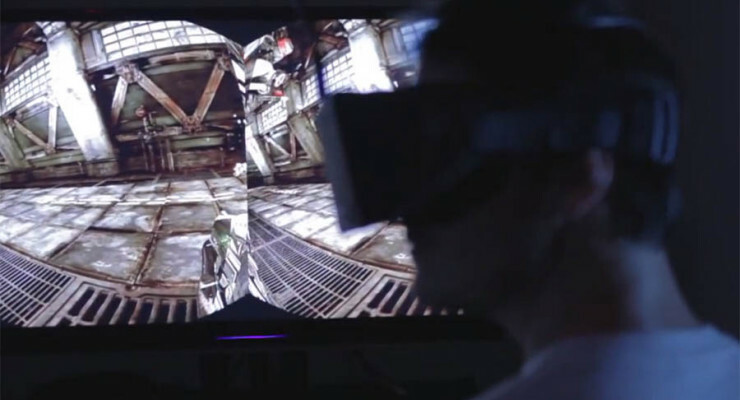 Oculus Rift builds a headset. When users put it on, they enter an unexplainable computer generated virtual world. Users often describe it as a real life experience where they feel like they’re really present in the new environment and can sense the presence of others like them. 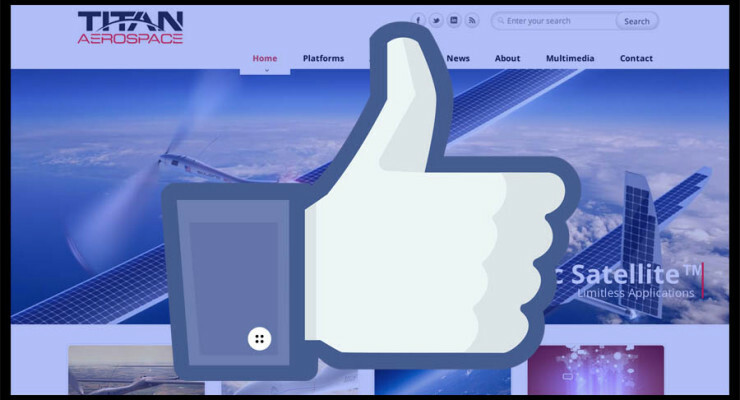 Facebook’s strategic move to acquire Titan Aerospace will help offer better internet connectivity even to the most deprived part of the world. The plan is to help the developing countries, which still don’t have access to the internet. The first target continent is going to be Africa. Facebook is planning to invest $60 million for this purpose. The final outcome is going to be solar powered drones – some atmospheric satellites that can fly high for five years without needing to refuel or land. 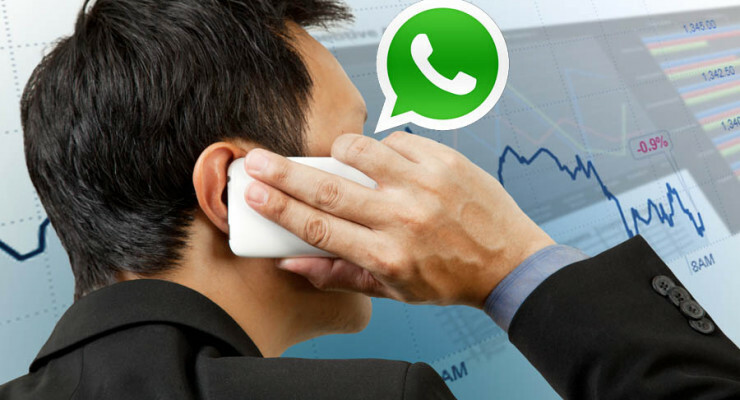 Facebook & WhatsApp Deal – Is It a Threat to The Traditional Telecom Service? All eyes will be on Facebook & WhatsApp deal to see where it takes both the companies. 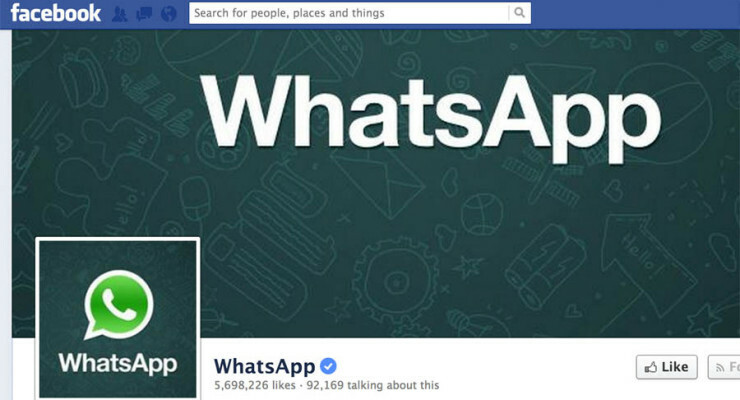 As for now, Facebook has openly confirmed that it’s not going to use WhatsApp’s interface for any of its future ads. Then what exactly enticed Facebook so much that it decided to finalize this deal and make it as one of the costliest tech deals of the decade? Nobody has a clear answer to that. However, Facebook founder Mark Zuckerberg believes the deal will ensure a faster and better internet connectivity to the consumers at a much better price in the future. WhatsApp was increasingly becoming the largest threat to Facebook. Although Facebook is a much bigger player than this company, WhatsApp’s incredible improvement and continuous evolution as a tech giant stunned this online networking company. For example, WhatsApp’s one single primitive looking app was able to manage almost half as many active users as Facebook just in five years. The Facebook (FB) is the only social networking media that has gained such fame and fortune within a decade from its start. Created by Mark Zuckerberg from Harvard University, it is also the only social stock that has seen abundant growth over the years and is now ready with the Paper app, its first product to enhance the mobile. Many stocks have seen equal parts of ups and lows in the past year. But, it is different when it comes to Facebook which has quite a large ‘highs’ in comparison with its miserly ‘lows’. It doesn’t stop there! The recent quarterly report that showed positive signs triggered a sudden 16% rise in Facebook shares and the Facebook Paper app that just launched this month is expected to further bounce the price soon. Survey shows that more than 60% people are online in Facebook through their android mobile and the apps such as Facebook and Facebook Messenger. Paper is the latest addition to this family of apps that has been added. 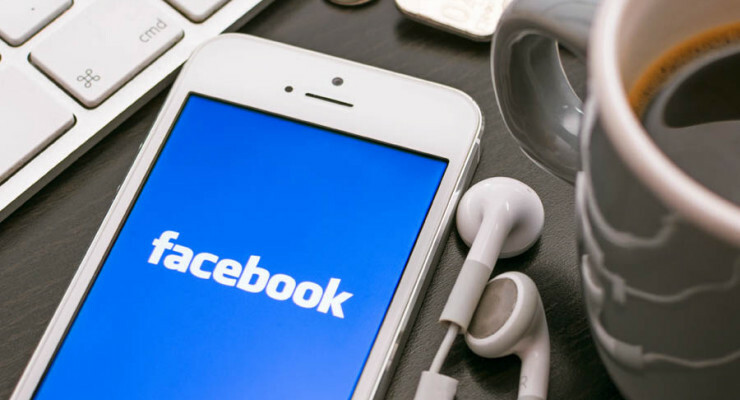 53% revenue of Facebook is said to be generated due to advertising via mobile and the shares of Facebook rose over $60 last week and it could have slowly subsided. But the announcement of Paper app seemed to be holding it steadily over the $60 mark and made sure it stayed there. The app is currently said to be launched only in United States. On an interview with Michael Robinson, in CNBC World, he spoke on Facebook’s current growth and the reasons behind it. According to Robinson, Facebook has around 1 billion users of which 295 million are accessing the social network only via mobile and the Paper app adds to its value. Moreover, companies such as Coca Cola find advertising with Facebook as a medium is more effective than any other form of advertising, earning them a profit of 1 billion. With one of the largest companies in US (Coca Cola) stating this fact, it’s only normal for the rest of them to follow along the same line. As for the shares of Facebook, Facebook has an average increase of 30% yearly and it doesn’t look like its ready to stop anytime soon. With room for creation of more apps and devices, Facebook shares are further expected to grow 50% in this year. 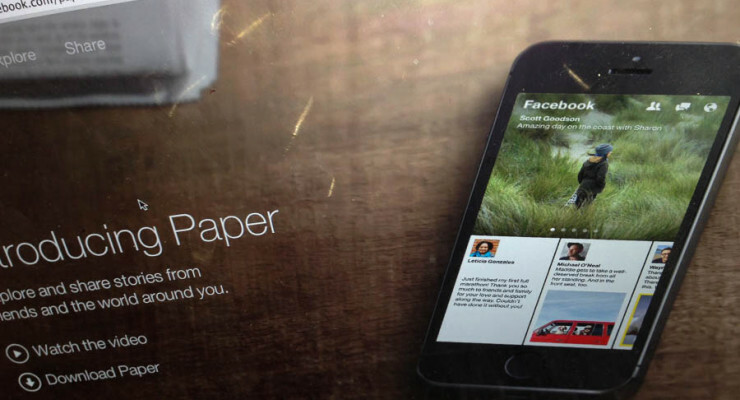 With the Paper app, Facebook is showing yet again that there is still room for more! Facebook, the social media giant, has finally decided to talk about its latest and largest acquisition. According to the sources, the company is going to buy WhatsApp for $19 billion. While Facebook fans think this is going to be a complete new beginning for the online networking company, some analysts oppose the idea of such a big investment in a fairly new organization. In all, now it’s time to see whether this new acquisition of Facebook paves the way to new possibilities. The bulky acquisition amount will include some amount of cash and some stocks. To be very exact, both the parties have agreed to a deal amount which involves cash of $4 billion and stock of $15 billion. Some big minds from large financial institutions think that Facebook has overvalued this new organization and thus the acquisition amount is insanely high for this deal. The way Facebook looks at this new collaboration is quite different though. Everyday Facebook shares (NASDAQ:FB) seem to be hitting new heights. This social networking has not only remained consistent with its 2 billion users globally but it has also fared well in its stock market ventures. This 2014, Facebook and other tech shares are expected to fare especially well and have a 9.3 percent increase from 2013’s net earnings. The outlook is also very healthy for Facebook. Facebook has set for itself a 2014 target at 70. At the current bullish scenario, people are constantly keeping their eye on this stock. It seems to be breaking all its previous records in 2014; it recently recorded its opening high. The opening prices have reached heights that were well above the predictions of the Wall Street Journalists. In the last quarter, revenue of around $2.6 billion was reported, along with a net income of $780 million. The predicted revenue, on the other hand, was only $2.3 billion. There has been a 78% increase from last year by the Ad related content. This is a reflection of the social networks and their affiliated apps on the mobile platforms. Facebook had earlier slashed the ad rates, which is credited for this success. Facebook has even held its own position as the second best Tech-share of 2013; the one day leap of 15% overnight shows that it is indeed a force to be reckoned with. Several key metrics are responsible for this Bullish market. The focus for the coming year is expected to be on improving the quality of the ads. If slashing the prices has improved the customer receptiveness, then improved quality is believed to pay off for sure. Facebook, that has already become a renowned mobile company, is set to become an advertising company as well. Also, due credit has to be given to the Facebook messenger, which seems to have people using it consistently. The Facebook Stock management team has to be well-applauded for the flawless administration in 2013. Every step was calculated and meticulously carried out. The growth seen from mobiles was more than 300%. Though most teens claim to have moved on from Facebook, the fact continues to remain that they return every once in a while just to check in. The number of people using it is also expected to remain consistent for the next 2-3 years. 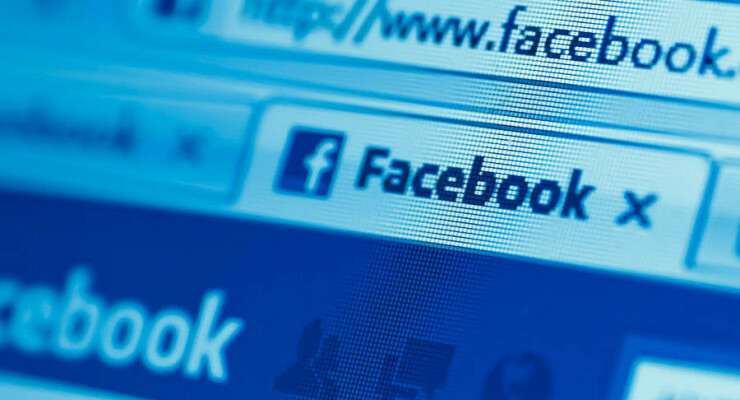 Is Facebook Interested In Expanding Its Mobile Expertise In The United Kingdom? Facebook Inc. has recently celebrated ten years of existence and rumor has it that the company is looking forward to expanding its horizons and to make some acquisition in the United Kingdom. It is known that Facebook has a very solid presence both in the online market and in the mobile market but apparently the company wants to take its mobile expertise a step further and improve its services in this field. It is known that Facebook managed to dramatically increase both its sales and its revenues by relying heavily on the mobile industry, this is precisely why a UK acquisition would not take anybody by surprise. The stocks with highest return possibilities attract investment. The shares of Facebook and Twitter are something that most investors want to keep in their portfolio these days. Unfortunately, many are not sure which one among the two is the best bet for 2014. 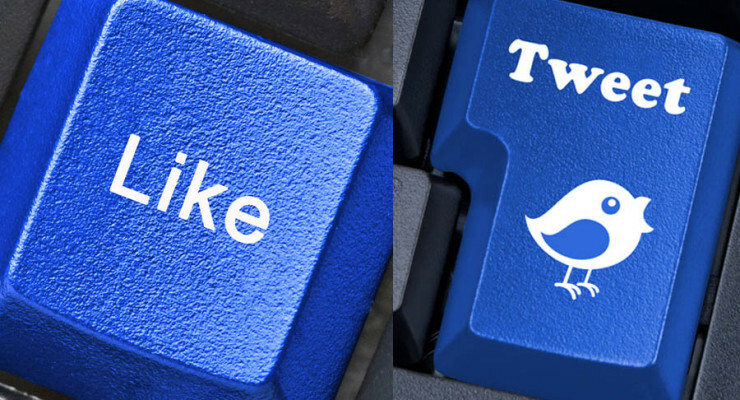 Both companies belong to the social and media networking industry. The choice is tough as both of them have their respective strengths and weaknesses. Analysts share their point of view based on the available company results and earning reports. As far as profitability or return on investment is concerned, one must track the company’s popularity and stock movement trend to get a fair return on the hard earned cash invested.